Book Condition: No writing, highlights, or torn pages. Dust cover in good condition. Ships directly from Amazon. Eligible for free shipping and Amazon Prime. Comment: No writing, highlights, or torn pages. Dust cover in good condition. Ships directly from Amazon. Eligible for free shipping and Amazon Prime. The result is this spectacular book, the independent companion volume to the landmark ABC News and The History Channel television series The Century. 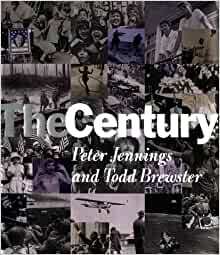 Co-written by ABC News Anchor Peter Jennings and Senior Editorial Producer Todd Brewster, The Century features a narrative of extraordinary quality that tracks major themes--the impact of technology, the soaring of the imagination, the ghastly violence, the joy of entertainment--through chronological chapters recounting the signal moments of each era in the century. From "Seeds of Change: 1901-1914" to "Machine Dreams: 1990-1999," each chapter is threaded through with fascinating first-person accounts of the great events of the twentieth century, and illustrated with over five hundred color and black-and-white photographs (many never published before) reproduced in exquisite depth and clarity. The Century presents history as it was lived, and as it will be remembered for the next hundred years. Here is a keepsake volume destined to be an essential part of every family's library: an epic journey through the last hundred years, whose heroes are our grandparents, our parents, ourselves. A companion volume to an upcoming 12-hour TV series on ABC News and 15-hour series on the History Channel, this is one of two major histories of the current century to appear this fall. The other is Harold Evans's The American Century, reviewed below. The Evans is the superior of the two, though both volumes have their strengths and weaknesses and either will make a splendid addition to anyone's bookshelf. 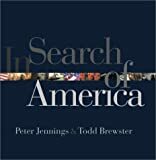 Jennings is, of course, the news anchor at ABC, while Brewster is the senior editorial producer of the TV series allied with this book. Like the medium they're most involved with, the authors engageAvigorouslyAthe emotions more than the intellect, while offering little that most educated Americans won't already be familiar with, although their recitation of events and analysis of trends is solid, and they give more coverage to important recent events, such as the rise of the Internet, than does Evans, whose history ends more or less in 1989. Their writing is smooth throughout and the many eyewitness accounts to various events gives the book a personal immediacy that the Evans too often lacks. In essence, their book is a chronicle of glories achieved and disasters overcome. The treatment is episodic rather than thematic, and the chapter dealing with the decade since the fall of the Berlin Wall offers only a kaleidoscopic montage of events with no connecting thread. The array of photographsA125 full color, 425 b&wAis spectacular, however, and for many will be the primary reason to buy the book, as well as the Jennings name and the boost from the TV series, which could easily propel the volume onto bestseller lists. Major ad/promo; BOMC main selection; simultaneous BDD Audio. 5.0 out of 5 starsYou MUST have this book! Despite those nitpicks, this book is excellent and well worth the money in every way... Well,okay one final 'nit.' The damn thing is printed on lead! It weighs a freaking TON! If you were bored by history classes and history textbooks during your elementary or high school days and eventually turned off on the subject, this is the book that can awaken a new interest. However, for people under the age of 30 some of the events described are beyond their memory and may hold no more interest than an account of a marriage ceremony in ancient Persia. 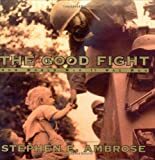 But for those who were alive during World War II and experienced both the recovery and the traumas that followed, the descriptions will evoke vivid memories and give pause when the text suggests better or worse conditions that could have followed. In Amazon there are other positive reviews of this book that provide additional reasons for buying it that need not be repeated here. Some negative reviews state the book is incomplete and superficial. Those miss the point. In the first pages the authors confess to the reader that their choices of events and level of detail were personal and selective. This book is not intended as a vehicle for research on world politics, disasters, and human achievement. Each chapter could be expanded into a whole volume. The approach that provides the value and readability that makes the book enjoyable is the skill demonstrated by the authors in first providing overarching and summary statements of the events and forces at work during each period, then zeroing in with clear, meaningful, and sometimes excruciating detail of moments in the life of individuals caught up in the event. There is pleasure in experiencing this swing between the general and the specifics of what happened in the last 100 years to humankind, but the reader should be prepared for the pain of being reminded that aside from a few unavoidable natural disasters, most of the suffering in those 100 years was brought on by human beings themselves. This book points out how people can be unexplicably cruel or act stupidly on the basis of little information. Although there are stories of extreme kindness and courage, this book describes a world that is not getting any better. 5.0 out of 5 starsThe Most Incredible Look at the 20th Century World History Ever! This is without a doubt the most incredible book to use for a Spine. There is a softer child's version that we aim to get for our son - this book is really good for very advanced 9th graders and 10th grade up. It is here folks. If you want to build your own World Studies program...in high school, using Notebooking and Essay methods.... LOOK NO FURTHER. This is an incredible book and well worth the money you'll pay for it. I should get another one before you can't get them anymore... just so I have a spare. 5.0 out of 5 starsI think this book should be in everyone's library, Outstanding book. Peter Jennings did a fantastic job on this. Very well written and outstanding photography. 5.0 out of 5 starsYou are there! This is a coffee table book that should not be left to sit on the coffee table. Once you get started, it is very hard to put it down and walk away. This book is so well done, that you do not have to be a "history buff" to get into it. Granted, there are no surprise endings, for after all, history is history, but, I have found many items that I was not aware of, and found interesting and new photographs that easily caught my attention. 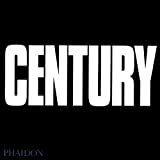 "The Century" will captivate, enlighten and educate. This is the type of book which can easily allow you to say "I didn't know that", and not feel foolish for saying it. The authors stimulate your mind's juices, and you really can't ask for any more than that. 5.0 out of 5 starsA superb book! Wonderful publication. I gave it to my father for his 95th birthday gift. He absolutely loved it. To be recommended. What a lovely way to remember the lives of relatives who experienced much of the 20th century. In addition to sparking many personal memories, it gives multiple generations much to talk about, compare and share. Well worth the "used book" money!